So you’re heading to the gym, and you’re all decked out in your favorite workout clothes, but there’s a problem. They smell funny. How many times has this happened to you? It doesn’t seem to matter how much you wash your working out clothes, for some reason they have that odd post-workout pong to them still. Here’s how to make sure that never happens again! Did you know that about 70% of the dirt in your clothes is invisible? Dead skin, sweat, sebum, it’s all hidden away in the depths of your workout clothes. Especially if you’ve been getting hot and sweaty in the gym! This is one of the main reasons you’ll get that gross smell from workout clothes, but it’s easily fixable. If you wash them inside-out, then the water and detergent will make close contact with all of that dead skin and sweat build up. It’ll wash off easier and stop your working out clothes from smelling. Simple! Be honest, how many times have you done this? You’ve come back from the gym, stripped off, got in the shower, and left your damp workout clothes in a pile? Or perhaps you shower at the gym and throw all of your dirty clothes in a bag. Then it gets to laundry day, and they finally get the wash they deserve. However, bacteria thrive on moisture which means by leaving the clothes damp you’re giving it the perfect breeding ground. Gross, right? Instead of throwing all of your damp gym clothes in a heap or laundry basket, put them straight in the washing machine as soon as you can. 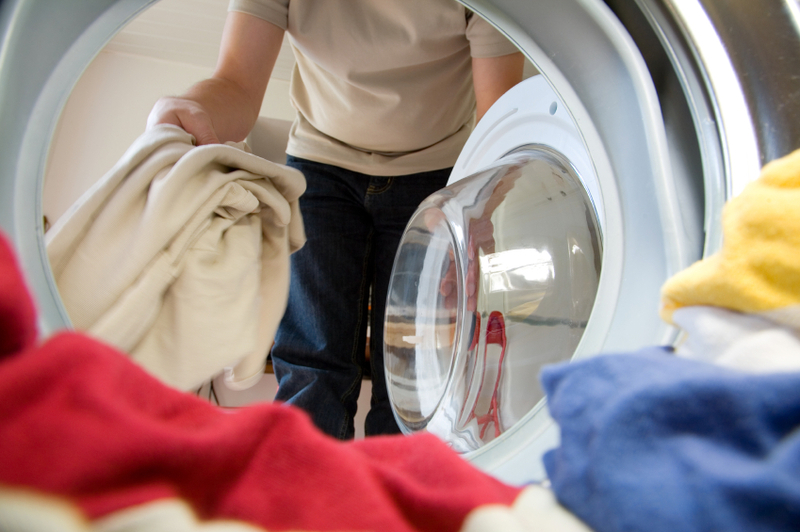 It may seem like the opposite thing to do, but less is definitely more when it comes to detergent and washing your clothes. If you use too much, then it causes a buildup of soap residue on your clothes. This, again, creates the perfect breeding ground for bacteria which then leads to that horrible post-gym smell (no matter how many times you wash the clothes). Make sure you follow the dosage instructions on your detergent and factor in how big your load is. If you’ve got quite a lot of gym gear to clean, try to split them up into smaller wash loads. 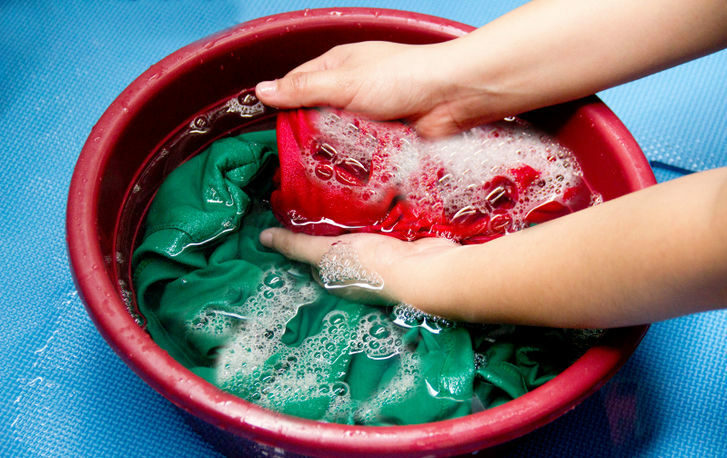 Did you know there are detergents created specifically for sportswear? Yep! They have been made with odor neutralization in mind, which means that you shouldn’t ever get that post-gym smell again once your clothes have been through the washing machine. They’re also specifically made for the type of fabric your workout clothes are made from, such as Lycra and Spandex. A quick look on Amazon brings up dozens of different sports detergents that you can use just for your gym gear! White wine vinegar – If you add a half a cup of this during the rinse cycle of your wash then you should definitely see a significant improvement in odors. It’s cheap, can normally be found in your kitchen cupboard, and is also good for cleaning your washing machine! Borax – This is a really gentle product to use on all types of clothes (such as baby clothes) and has a brightening effect on your white sports items. Perfect to eliminate odors and keep your workout clothes feeling soft. Specific product – You’ll also find specific odor eliminating products on the market, such as Zero Odor. 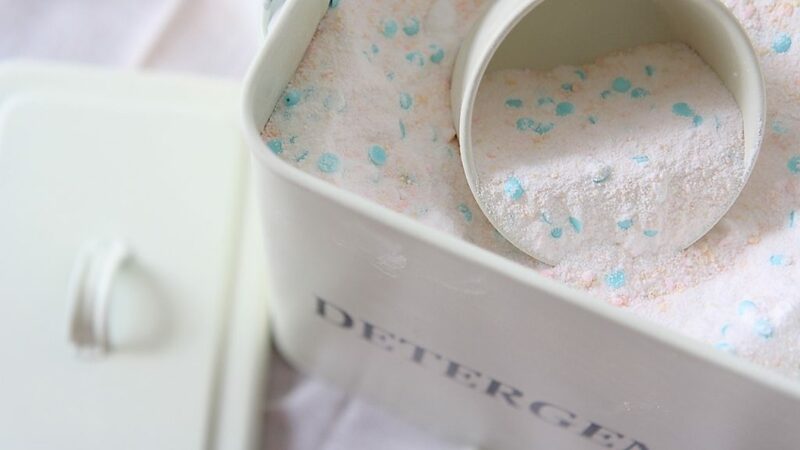 Pour this into your detergent compartment and let it do the hard work for you. The next time you’re feeling awkward about smelly gym clothes, try some of these clever hacks out. You’ll be the nicest smelling person in the gym, probably!